Happy Tuesday! I’m pleased to host a fellow blogger and author today, Janet Singer of OCDTalk. Janet is a tireless advocate for the proper treatment for OCD — and she doesn’t even have the disorder herself. After watching her son suffer through many missteps of treatment, Janet dedicated herself to spreading awareness about OCD and how to best treat it, namely, exposure and response prevention (ERP) therapy. 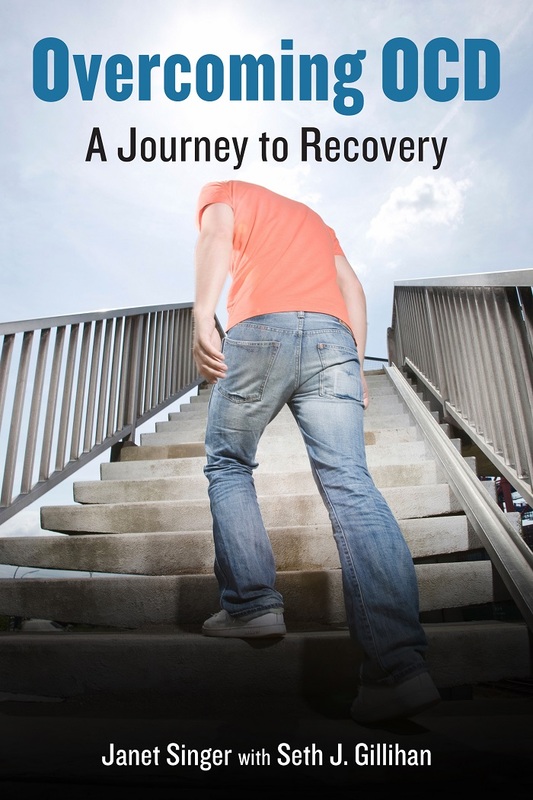 Janet’s first book, Overcoming OCD: A Journey to Recovery, came out earlier this year. A gripping and sometimes heartbreaking read, it is a memoir of her family’s experience with treatment — medication, “talk therapy,” and residential treatment. You can read my review, but first let’s chat with Janet. You’ve been blogging about your experience as a parent of a child with OCD, and you also wrote a book, Overcoming OCD. So far it’s not something your son has shared as openly as you have. What did he think when you told him you wanted to start a blog, as well as contribute to existing blogs, in order to help others like him get the proper treatment sooner? You are absolutely right that my son doesn’t like to talk about his experiences with OCD, though he doesn’t hide it from his friends. I actually asked his permission to blog and work on a book, as I didn’t want to become involved in anything that would make him uncomfortable. He saw how passionate I was and realized how helpful our family’s story could be, so he was fine with it. His only request was that I use pseudonyms for our family. You could have easily receded into the background after Dan triumphed over OCD, but you have been tireless in your efforts to spread awareness about this often misunderstood disorder. Tell us why. What initially propelled me forward was the fact that ERP therapy is not well known or widely used to treat those with OCD, even though it is the first-line psychological treatment approach as recommended by the American Psychological Association. It was so unacceptable to me that I decided I would spread the word myself! My advocacy efforts widened and evolved quickly, and now I talk about anything and everything related to OCD. But spreading the word about ERP, and letting people know that OCD, no matter now severe, is treatable, is what got me going, so to speak. Was writing a book about your family’s experience always a goal, or did it become apparent that it was something you needed to do as you advocated more and more in the OCD community? It was always a goal of mine, even before we had our “happy ending” as I honestly felt our story could be helpful to so many people. I did put it on the back burner for a while as I was so busy and involved with my blog, but I knew at some point, I needed to write that book. How did you first realize Dan needed help? Did he have obvious compulsions, or did he come to you to tell you about his symptoms? We first realized Dan needed help when he came to me and my husband and said, “I have OCD. I need help.” Seriously, we had no clue, even though he was 17 and still living at home at the time. He diagnosed himself with the help of the Internet. Because his compulsions were mostly mental, it was easy for him to hide them. Of course in hindsight, we now know there were signs. When he was first diagnosed, what treatment did he seek? His long-time pediatrician gave him 10 mg of Prozac and suggested he see a therapist. So off he went to the local psychologist in town, who told us he treated OCD. He used “talk therapy” with Dan, and told us his OCD was “no big deal.” Sigh. So many mistakes were made! Janet, I read your book, and let me tell you, it was heartbreaking at times. You watched your son deteriorate before your eyes, and you and your family put all the hope you had left in a residential treatment program. Dan’s treatment didn’t go as planned, however. You began to worry that he was too attached to the program and wasn’t learning how to re-enter the real world, particularly the college he’d worked so hard to get into. What do you think should have happened differently? My main complaint about the residential treatment program is that my husband and I felt deliberately shut out of all aspects of Dan’s care while he was there. While we understand that we didn’t need to know the specific details of his OCD or even his ERP therapy, we absolutely should have been involved in decision-making that would potentially affect his life’s goals and his dreams. There is no question the treatment center knew how to treat OCD. But they didn’t know our son. They saw Dan in the worst shape of his life, so of course they couldn’t really know him as a person — his values, hopes, dreams, goals. We naively thought we would be encouraged to collaborate with the treatment providers to figure out the best ways to help Dan. That never happened. I know many people need residential treatment, and it’s possible to thrive after completion. Do you have advice for individuals who may be entering such a program, or for their parents, so that they get the most out of it? For parents, I would recommend asking questions before your child even attends. Make sure you feel comfortable with your expected level of involvement in your child’s treatment, and make sure to speak up if you feel you are not being heard. So many parents feel intimidated by “the experts” and just defer to whatever they recommend. I think this is a big mistake. Nobody knows your child, or cares about your child, as much as you do, and your thoughts, opinions, and feelings should absolutely be taken into account. I don’t have OCD so it’s hard for me to advise someone who is entering a program, but I do know how important it is to commit yourself fully to the intensive treatment. It’s scary, but in the end, so worth it. 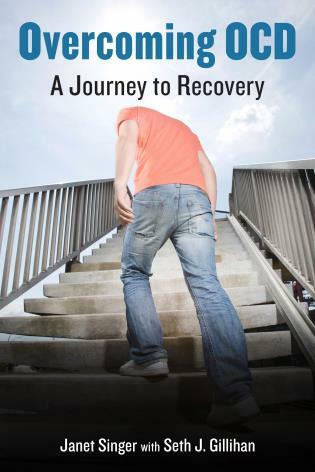 Another roadblock on Dan’s path to recovery was overmedication. At one point he was diagnosed with ADHD, an analysis you completely disagreed with, and he was medicated for that, as well. How can a person with OCD empower oneself to take treatment one step at a time in order to avoid a situation similar to Dan’s? That’s a great question, Alison, and I’m not sure I’ve got a good answer. I could say “educate yourself,” or “research different meds,” etc. but Dan was in no condition to do any of that himself. He was doing so poorly at the time, and was happy to take a new drug that “might” help him. And he trusted his doctors. And because his OCD was still so intense, he often wasn’t thinking clearly. Though I don’t have a good answer to your question, it brings up the importance of having loved ones advocating for those with OCD when things are really bad. It seems that Dan hit rock bottom at a particularly awkward time — he was 19, so he wasn’t a child anymore, but he also wasn’t a fully independent, mature adult who knew how to navigate the mental health care system on his own. How did you and your husband overcome some of the hurdles you faced in this parental gray area? You are absolutely right that his age complicated things. Because he was over 18, his doctors couldn’t tell us anything without his permission. Dan was happy to include us in everything, so this was really only a problem at the residential treatment center, when the staff did not communicate with us. I think his age was more of an issue for us as parents. We tried to treat him like a “normal” 19-year-old, but how do you do that when your child is barely functioning? As he got better, we had to let go more and more, even though it was scary for us as parents. It was a constant balancing act. I forced myself to put some of my worries aside so that Dan could move forward toward a life of independence. I reminded myself that while it would have been easier for me to just keep Dan close to home and monitor his every move, it really wasn’t what was best for him. That brings up a common issue in treating OCD. Oftentimes the best way to help a person with OCD is to not help, meaning we shouldn’t enable him or offer too much reassurance. How did you make sure you were helping Dan find the right treatment without defaulting to what probably felt natural as a mother — comforting him, reassuring him, doing whatever it took to ease his distress? Great question. When I first found out he had OCD, I comforted and reassured him all the time because, as you say, that’s what mothers do. Looking back, it’s amazing to me that none of Dan’s treatment providers ever explained to us that accommodating Dan only strengthened his OCD. That’s something we learned through our own reading, etc. Families need to be educated! Honestly, once we understood how and why reassurance fuels the fire of OCD, it was easy to stop because we knew it was best for Dan. Also, Dan would actually tell us when we were inadvertently enabling him, as he wanted to get well so badly. As we worked toward finding the right treatment, and went through so many ups and downs, I’m sure we enabled him at times without realizing it…it was a definite learning process — doing the “opposite” of what your instincts tell you isn’t easy! How is Dan doing now? Thankfully, Dan continues to do well. He is 26, working in his chosen field, and living with his girlfriend. And he’s happy. What more could I ask for? Don’t wait one more day to get the right help. OCD is treatable! I have never met anyone who has regretted doing ERP therapy. The only regret I hear is for not having done it sooner. Welcome to my very first book review! I’m honored that it’s for Overcoming OCD: A Journey to Recovery by tireless OCD advocate and blogger, Janet Singer. Name a topic related to OCD, and I’ll bet Janet has written about it–thoughtfully and thoroughly. Janet started ocdtalk after her son, Dan, struggled with and eventually triumphed over OCD, and Overcoming OCD is all about Dan’s trial-and-error, often rocky road to recovery. Can I start by saying how much I connect to the title of this book? I’m always stressing that recovery is a journey, a truth that Janet illustrated with often heartbreaking detail in Overcoming OCD. I’ve read several books about OCD, but this is the first book I’ve read that isn’t by someone who has OCD or someone who treats OCD. Overcoming OCD is about a mother’s quest to find the right help for her college-age son, and I learned a lot from this totally different perspective, not to mention from the informative sidebars written by Seth J. Gillihan, PhD. Honestly, I think I know a lot about OCD, but I found myself engrossed in the pages of this book, even wondering “What’s wrong with Dan? !” Someone at Rowman & Littlefield, the book’s publisher, knows a thing or two about pacing and keeping a reader hooked. Dr. Gillihan discussed topics I’m already well versed in, such as ERP and enabling OCD, but he also wrote about such topics as transitioning from residential treatment back into “real” life, the use of benzodiazepines (for example, Xanax) in the treatment of OCD, and side effects of residential treatment–to name a few. Sometimes I was so into the story itself that I skipped his sidebars and came back to read them later, and sometimes I was so intrigued to learn more from his clinical perspective I dove in right away. Janet went to hell and back to get the proper treatment for her son, and I felt like I was right there with her through the frustrating meetings, setbacks, and triumphs. I found myself shaking my head in disbelief at times, and nodding with understanding–and a lump in my throat–at others. Janet was often between a rock and a hard place as a parent of a young adult; she sometimes had to fight for medical information because he was over 18, but he still desperately needed his parents’ help, as most college students do in one way or another. It was hard for me to read about Dan’s struggles with medication because I hit a home run with my medication. The first antidepressant, an SSRI, worked well for me, and I can live with the mild side effects. Dan’s doctors put him on a roller coaster ride with so much trial and error it’s no wonder many people with OCD fear medication. At times Janet knew more about the medication her son was on than the prescribing doctor did. I highly recommend Overcoming OCD, whether you have OCD, you treat OCD, or you have a loved one with OCD. 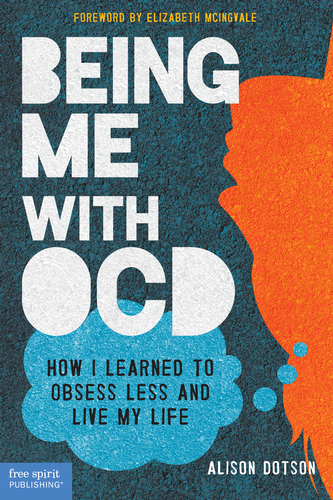 Heck, I recommend it even if you’ve never even heard of OCD. The sad truth is that not enough healthcare providers understand obsessive-compulsive disorder, and Janet’s son Dan suffered for it. But Dan eventually came out the other side victorious, in large part because Janet was relentless in her quest to see her son freed from his obsessions–all while stressing how important it was for him to learn to live with OCD and not expect perfection.